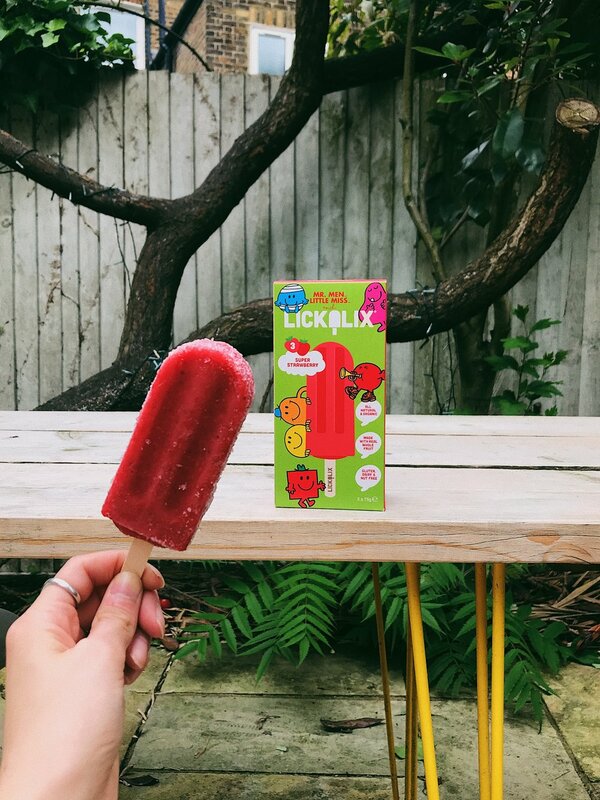 Here at LICKALIX HQ, we hope all our lolly lovers are having an amazing summer so far! 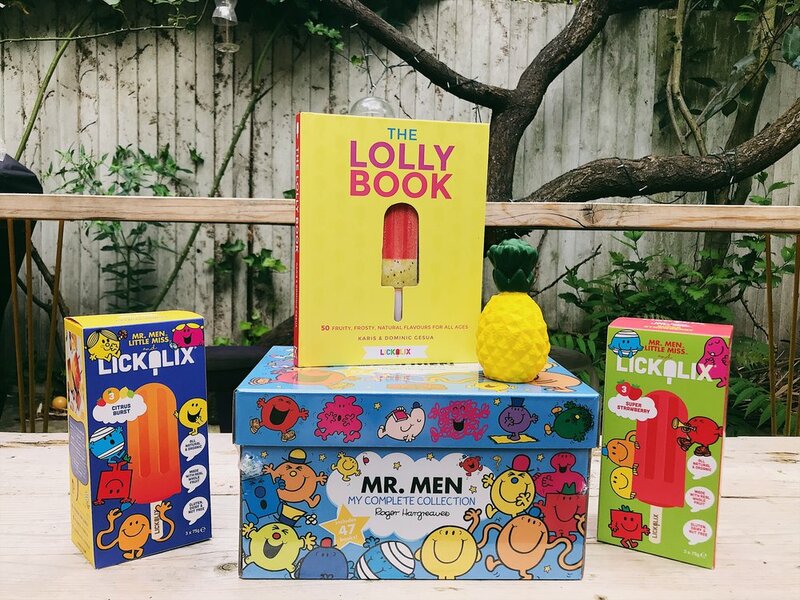 And in lieu of these warm summer months, we are running another competition with our official mr. men ice lollies! We partnered with mr. men and little miss for the summer and created two totally new flavours, Super Strawberry and Citrus Burst, which have quickly become favourites among the lickalixers here at hq! We will be running our competition from June 20th and we will pick a winner at the end of June. What you need to do to enter is follow our Instagram page @lickalixltd, and @MrMenOffical too! comment with your favourite mr. men or little miss character, and tag three of your friends who love mr. men and lollies just as much as you! Also there can be more than one entry so the more you enter, the higher the chance to win! While we’re running the competition now, we will also be running it in August and September as well with different prizes. So if you don’t win this month, you can always try again! Check out our photos to see all the prizes! LICKALIX launched its handmade gourmet ice lollies in London in May 2014. During the heat wave of summer 2013, Karis and Dominic Gesua began making ice lollies for their friends. Everyone loved the lollies, which were inspired by Mexican ‘paletas’, so the Camden based couple decided to give up their stressful jobs in branding and advertising and become full-time food entrepreneurs. LICKALIX lollies are made by hand using real fruit and all natural and organic ingredients (no concentrates, juices, purees, stabilisers or additives). The lollies contain have less sugar and fat than most popular ice cream, ice lolly and frozen yogurt brands. They are also suitable for vegetarians, vegans and people with intolerance to lactose, dairy or gluten. LICKALIX lollies come in a range of flavours, including Mango Raspberry Swirl, Caribbean Twist, Strawberry & Banana Smoothie and Oh So Berry, with a RRP of £2 each. During summer 2014, LICKALIX lollymobiles visited a number of festivals and street food markets, including Taste of London and Street Feast, to introduce the lollies to consumers. The company also established partnerships with various retailers across London, including kiosks in Hyde Park and St James’s Park, cafes, delis, bars and ice cream vans. Feedback from customers and the media included: “there is nothing more refreshing”, “tasty”, “a great idea”, “scrummy” and “all of the gourmet with none of the guilt”. In March 2015, the company expanded nationwide and launched its wholesale offering.